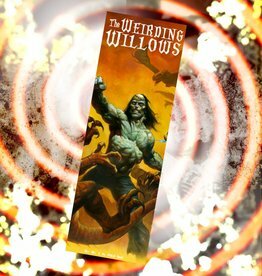 Grab The Weirding Willows Bar! Not only does it have exclusive cover art, but it's delicious! Made with dark chocolate, coconut, soy bacon and milk chocolate chips! Order yours today! Grab this monster of a chocolate bar! This is The Weirding Willows Frankenstein's Monster Bar! It's milk chocolate with raisins, cranberries and almonds. Order yours today! 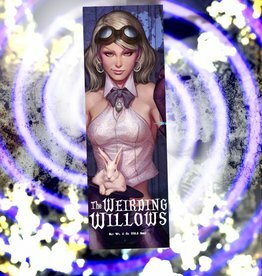 Grab this Weirding Willows Alice Bar! You will take a trip down the rabbit hole! It's a 1/4lb of milk chocolate with strawberry jam and walnuts! Get it now before it hops away! 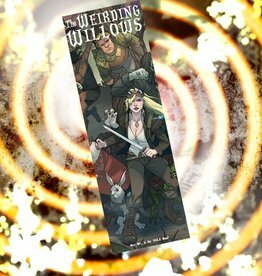 Grab the perfect gift for the Weirding Willows lover in your life! Each bar is only $7, saving you $1/bar! 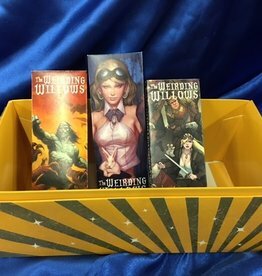 Get all 3 bars for only $21!